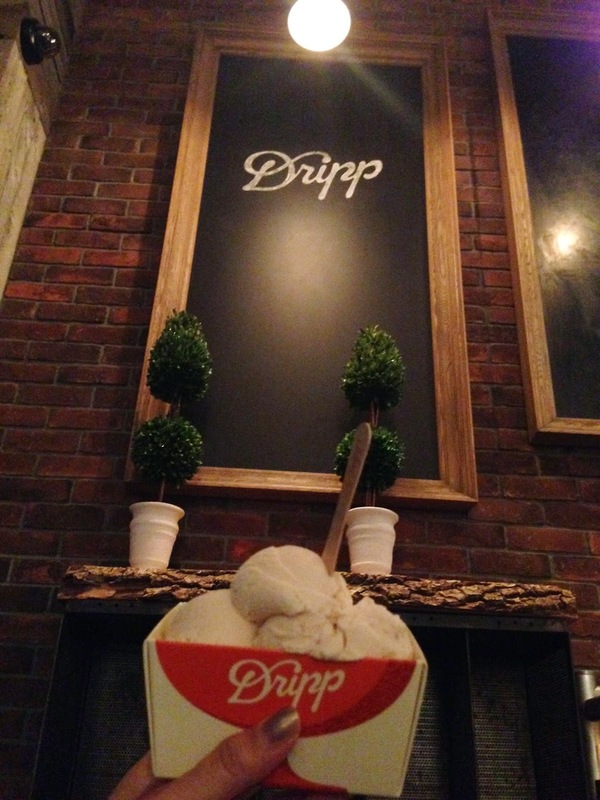 Dripp has been open for a little under three years, but has steadily become an indie favorite among coffee connoisseurs and ice cream zealots. Sure, it's not located in the hub of LA where most "trendy" joints of its kind operate, though that's what adds on to the allure of this hipster boutique coffee house. Come on really, what's more indie than contemporary downtown style? How about contemporary downtown style concealed in contemporary suburban style? Ice cream is what these #20DaysofICECREAM is about, however, coffee is my vice. Dripp uses coffee beans that are roasted in small batches by Espresso Republic, promising each cup to be steamed with individuality. Now on to the Ice Cream Bar. 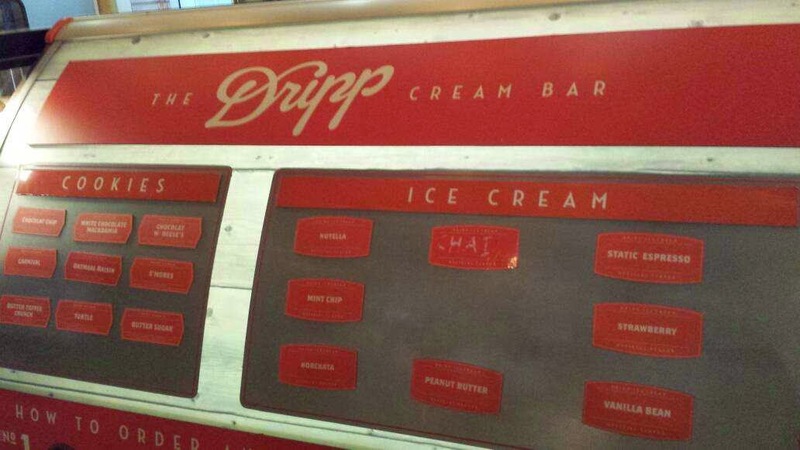 As you can see above, Dripp offers a selection of freshly baked cookies to go along with your desired ice cream. Seasonal flavors range from Blueberry Cheesecake to Lucky Charms cereal. Currently, they offer Horchata (Mexican rice drink) and Chai ice cream. Flavors curated on the daily include Static Espresso, Vanilla Bean, Strawberry, Mint Chip, and Nutella. The couple of times I went with a large group, there have been mixed opinions on the ice cream. While I do enjoy the generous scoop of creamy texture and hip flavors, the last morsels left behind just get a bit too sweet for my [already high] tolerance of sweetness. 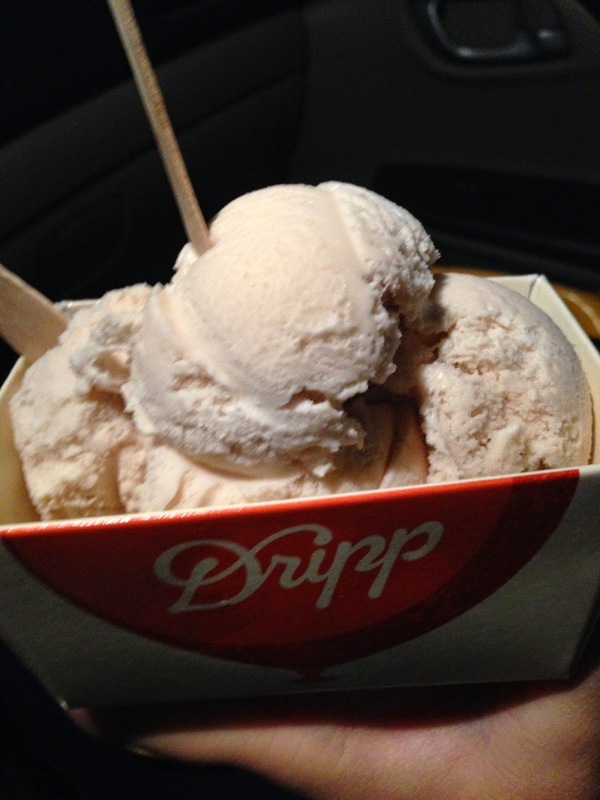 Look out, Fullerton, a new Dripp location is coming soon. I'm glad they found another low key suburb to serve ice cream in discretion, because eating ice cream in LA would just be too mainstream. If you visit make sure to tag @FooodisGoood on Instagram!